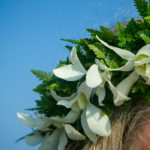 Rebecca and Blake were married at the beautiful Mauna Lani Resort and Spa on the west coast of the Big Island of Hawaii. They were married on the beach’s edge surrounded by palm trees. They started there photography time with photos in the bride and groom’s room capturing detail shots as well as family photos on the balcony over looking the ocean. Then they had the ceremony photos, followed by photos of the toasts, signing of the marriage certificate and then photos of the bride and groom. The reception was on the beach with a private dinner.